Housed in the oldest house in Edenvale, this historic house has survived the Union of South Africa (1910), the rise of the National Party (1948), the Republic (1961), Democracy in 1994 and the dawn of the new millennium. Edenvale dates back to 1903 when it was an unimportant small village where certain Cornish Miners settled after the Boer War. The farm Rietfontein No 9 was originally owned by Tobias Mynhardt whose home is still in evidence today and is called Frank Marret Park. Mynhardt subdivided the area in the early 1890’s into four portions, selling Eastleigh to Father De Lacey and Edenvale to a Mr Amm, a leading Johannesburg grocer. The major portion, which extended from Modderfontein Boundary to Elandsfontein station was sold to the Rietfontein Gold Mining Company, while the remaining portion of Edendale was retained by Mr. Mynhardt. 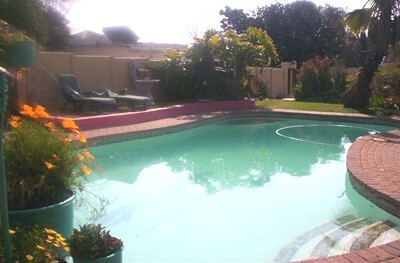 All units have secure off street parking behind security fenced gardens and are well lit at night. We have a central entertainment area which really comes into its own in summer because it comprises a 10m by 4 m gazebo alongside a 12 metre swimming pool, which is best enjoyed between the months of September and April. 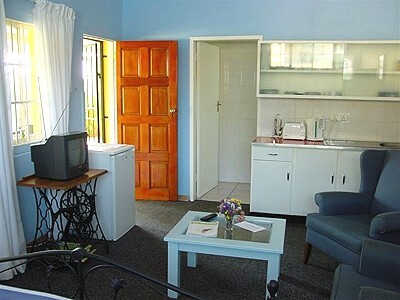 This area also has a braai facility for barbeques and bonfires. The gardens have prolific bird-life because of the indigenous trees and nests. Some of the regular birds (in their seasons) are starlings, black-collar barbets, long-billed wood hoepoe, crested barbet, robin, grey louries, shrike, mouse-birds, African hoepoe, hadeda's (which our jack russel terriers love to chase off) and others. Our in-house and on-site tour operator (Mustard Seed Safaris) will ensure that you make the most out of your visiting time by providing customised day trips for cultural, heritage and wild life or nature tours (Sun City, Lion Park, Kruger Park etc.) You could be walking with elephants, experiencing cheetahs and wild dogs close up, stroking a cheetah or hugging a lion cub! Need to finalize return trips or flights?! We have just the answer for you! Our on-site Travel Agency (Travel Decisions) has a reputation for their excellence service and willingness to help, should it be air tickets, car hire, accommodation or just advise regarding your proposed travel plans! We have a collection and drop-off service only for our guests who will be arriving at/departing from Johannesburg International Airport but will only be provided if we have sufficient advance notice of the dates and times. In the case of out-of-town guests wanting to leave later in the day and those who may fly in in the early hours of the morning we may be able to organize to hold luggage and other goods for safekeeping until you depart for the airport or else for later check-in once existing guests have checked out and rooms do become available. The self-serve breakfasts are optional. 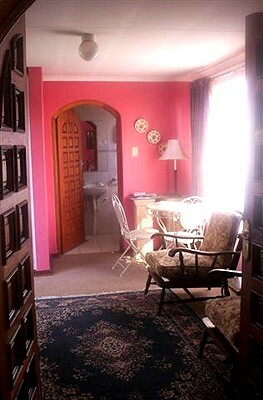 There are microwave oven, kettles, toasters, fridges and servers/dressers in each room which are stocked fresh daily. The daily serving will consist of ample portions of tea, coffee, sugar, milk, selection of different 3 cereals, bread (for toasting), muffin, yoghurt, fresh fruit, jam, butter, fresh fruit juice and bottled water. This selection may differ a little each day dependent on sourcing. If requested, The cost for breakfasts this can be included once the accommodation dates are to be confirmed. In co-operation with a home-based catering company, Joan's Pantry, we are able to provide you with fresh home-cooked meals every night! Menus will be provided in the rooms where you can just tick-off your desired meal, we’ll order your choice of Dinner during the day and Joan will deliver it at your preferred time. Seeing that Joans Pantry is situated only 3 houses from the Guest House, your meals will still be hot at time off delivery. For first night stays this must be organized in advance. Menu available on request. We can also organize next day laundry service, delivery and collection – costs for this to be settled directly with laundry. We live and work on the premises so there is always help on hand as well as assistance if needed. Check-out times are 10h00 at latest unless otherwise organized by special arrangement. Check-in time is from 14h00 at the earliest unless otherwise pre-arranged.